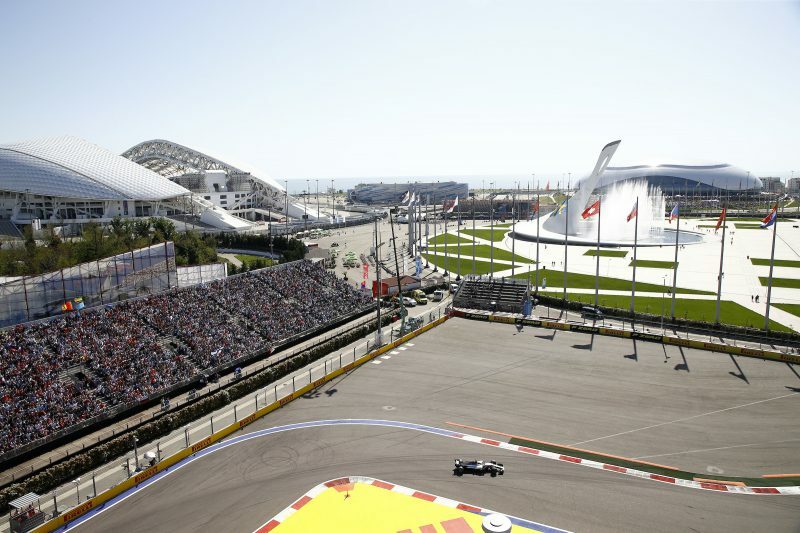 Mercedes have won all four of the Russian Grand Prix’s hosted in Sochi’s Olympic Park, with Hamilton claiming two of those. That leaves rivals Sebastian Vettel and Ferrari with work to do, with just six races remaining this season. Vettel admits they need to start winning, saying: “”Anything is possible. I’m not aiming to win all six races. I’m aiming to win here and then we go to the next one. “It is very simple from where we are. We are some points behind and we need to catch up to make sure we stay there. World champion Hamilton insists that the title is far from done, despite holding a 40-point advantage in the Drivers’ Championship. “I don’t think you ever have one hand on it,” he said. “You either have both hands on it or you don’t. “There is still a long way to go, a lot of points available, six races is still a lot of races. 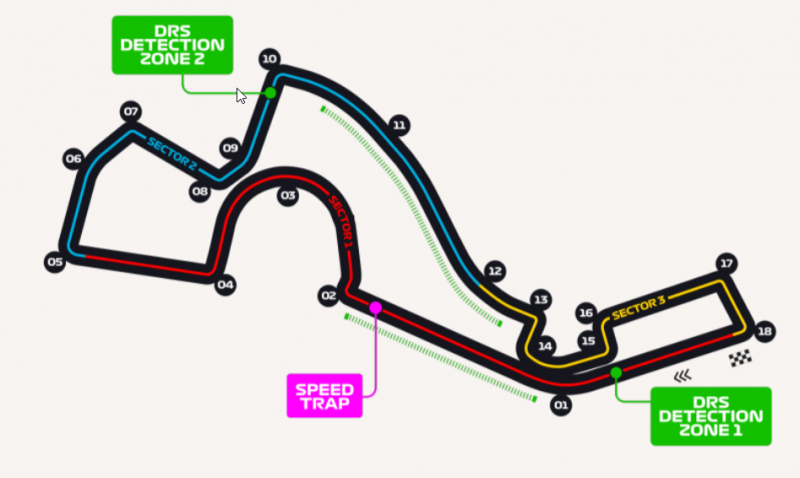 Going into the weekend and it will be a Mercedes-Ferrari shoot-out as Red Bull will have both drivers starting from the rear of the grid as both Max Verstappen and Daniel Ricciardo will be taking on new engines. 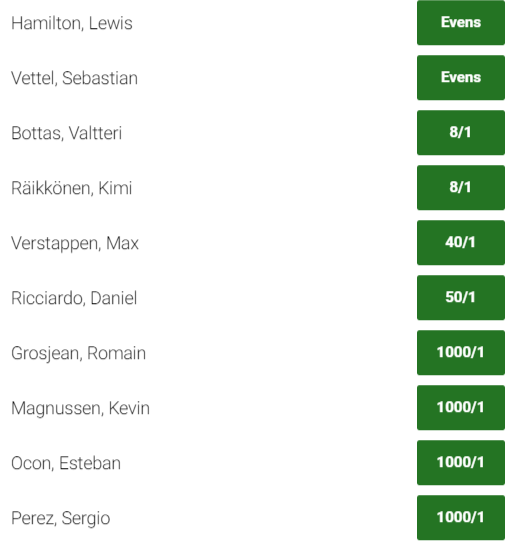 With the title now looking like his to lose, Lewis Hamilton once again starts the Russian weekend as the favourite across the board, 6/4 to be quickest in Free Practice, 3/5 to take Pole and Evens to win on Sunday. 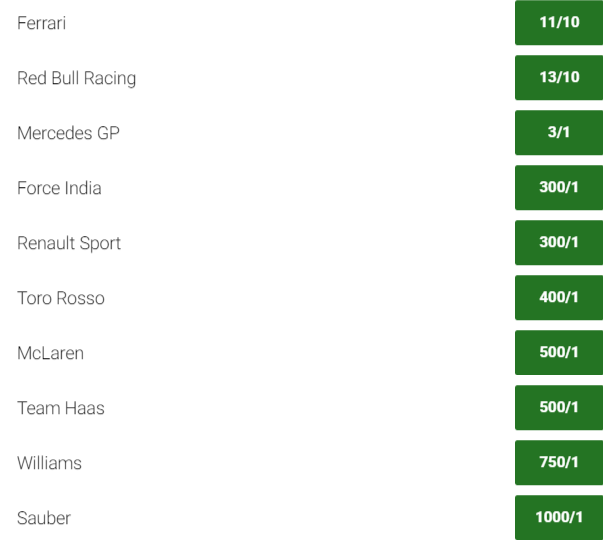 He also now finds himself a very short priced favourite for the Drivers’ Championship at 1/6.